Minimum quantities of 50 apply. 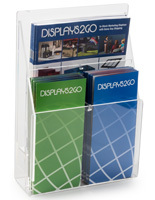 Acrylic Brochure Racks - This literature display is great as a brochure rack, literature holder, or counter display. 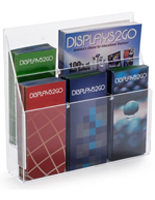 Convenient three tiered brochure holder is designed to hold 5-1/2"w material. 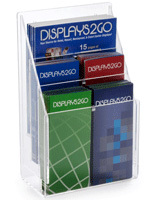 Having six 1-3/4"d pockets, this countertop display is time tested and durable. 11.8" x 11.5" x 6.8"
It was a good size and quality! Overall, It was a great product! 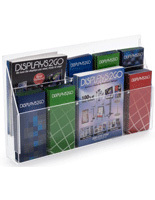 It was surprisingly difficult to find the right dimensions in an acrylic holder in a table top design. Most other brands would not accommodate the width I needed and were frustratingly just under the size I hoped for. The few I did find either had to be purchased in bulk or the pricing was just ridiculously excessive. So I was delighted to find exactly what I needed for a reasonable price! I received my product quickly and undamaged as well which means I will look to order from this company first! 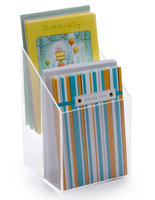 Hi Tamra, sounds like you had quite the adventure trying to find your literature holder! Glad we were able to delight you and we look forward helping you with your business needs again. 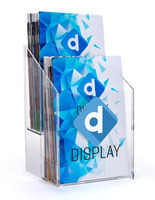 The display case came on time, intact, and really consolidates our brochures neatly and visibly on a 6' table at a show with limited space. Easy for people to see all 6 items as they walk by. 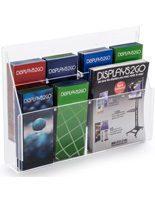 This is just a simple acrylic brochure holder but it was just what I was looking for. 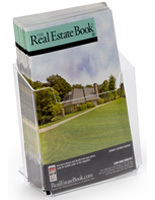 Holds our 5 1/2" x 8" brochures nicely and is very clean and simple. 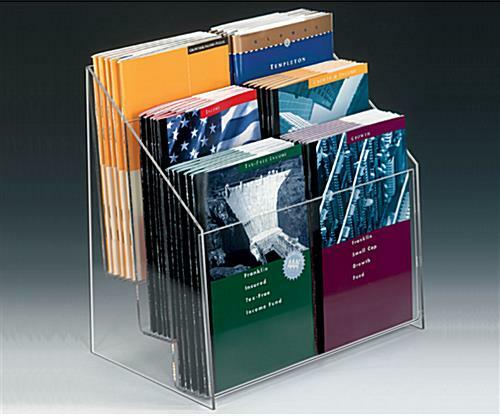 I like these brochure holders a lot. They appear to be well-made and they look good in our waiting room. Thank you for your feedback, Judith!